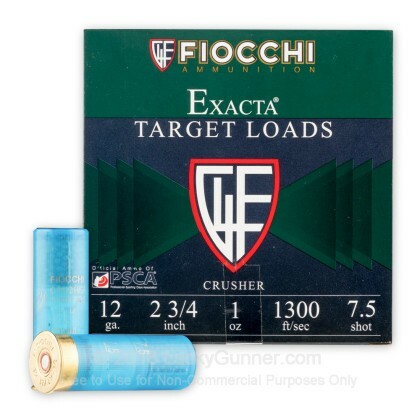 Fiocchi Crusher ammunition excels at producing results in sporting clays, even at long distances. These shells use a more powerful powder charge to generate better velocity and superior clay-busting performance. 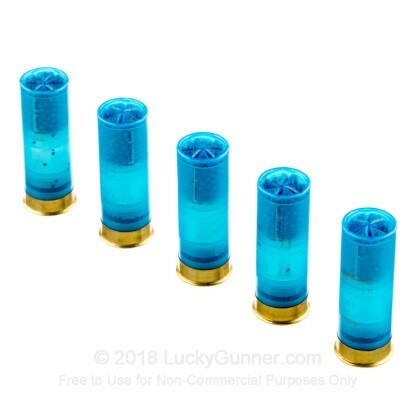 Each 2-3/4" shell in this case of 250 (containing 10 boxes of 25 shells each) fires a one ounce column of #7.5 shot at a muzzle velocity of 1,300 feet per second. This high velocity contributes to tighter patterns and makes those tough longer-distance shots a bit less daunting. Just be sure you're prepared for the extra recoil! This ammunition is loaded by Fiocchi of America in Ozark, Missouri. Fiocchi is an Italian company that has produced ammo for the US market since the 1980s. The company was founded in the 1870s in Lecco, Italy. 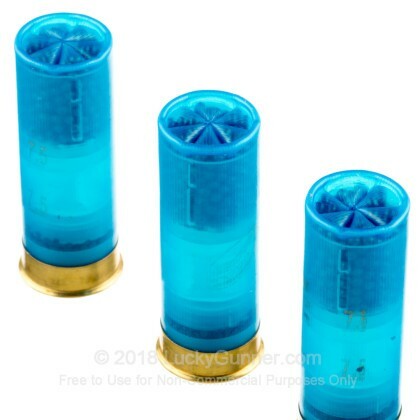 We don't have any reviews yet for this particular 12 Gauge ammo from Fiocchi. 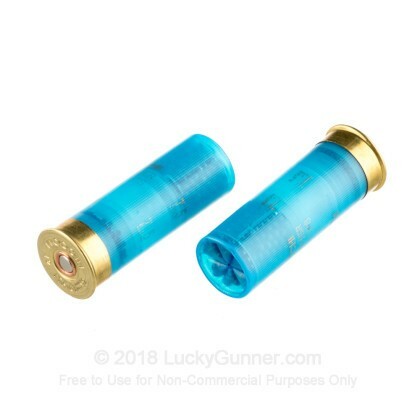 If you'd like to be the first to review this particular 12 Gauge ammo from Fiocchi, fill out the form below. We also have this 12 Gauge - 2-3/4" 1 oz. 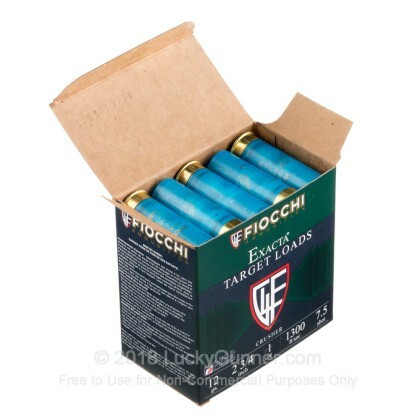 #7.5 Shot - Fiocchi Crusher - 25 Rounds ammo in stock in a smaller quantity.